If you run a product review site, cooking site or other website, video demonstrations can really help enhance your message. I started making product review videos a few months ago and I can tell you that they’re easy to make and you don’t even need a video camera… I’ll explain later. I’m happy to share my best tips so you can also achieve professional looking results. Remember I said you don’t need a video camera? It’s true! 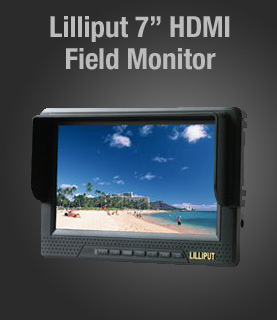 I exlusively use digital cameras that shoot HD video instead of a traditional video camera. You might be asking why not use a video camera? By utilizing a digital camera, you get a great photo camera and video camera in one! And it’s very budget friendly. Being able to carry a small point and shoot camera around in your pocket means you’ll always be able to shoot video at a moments notice. The two cameras I own at the moment are the Canon Powershot SX200 and the Canon EOS 7D. They are offered at 2 different price ranges. 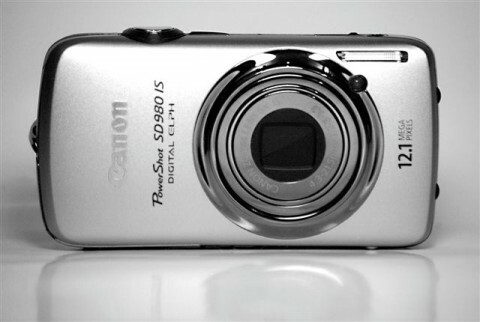 The Powershot SX200 is a point and shoot camera that sells for about $200. The EOS 7D is a DSLR that costs about $1800 with a lens kit but is a lot more complicated to use. Take a look at the digital camera you own now, you may already have a point and shoot camera that shoots HD. If you don’t have one, I’d recommend the Canon Powershot SX210 (update to the SX200) or the Canon Powershot SD4500 Digital ELPH (good low-light capability). I’m not saying you have to have the latest camera because HD is not necessary as you can see in this Fried Shrimp Cooking Demonstration I shot with an old non-HD point and shoot camera. These tiny digital cameras are difficult to hold steady so you should definitely use a tripod as often as possible. There’s nothing more amateur looking than shakey video. And for 99% of my shots, my camera is locked down with no panning or tilting. 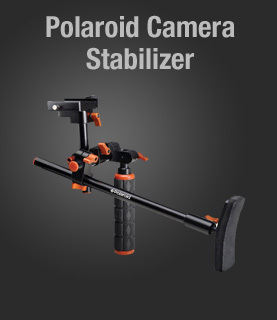 That means you won’t necessarily need a tripod with a fluid head, meaning it has friction adjustments that allow smooth panning and tilting. 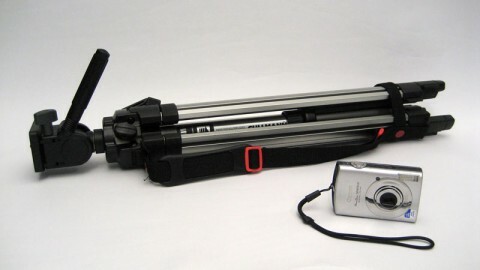 In fact, with my point and shoot camera, I use a simple, light-weight photo tripod. One more thing to consider is finding a tripod with a quick release plate so you can detach your camera from the tripod easily. This might seem basic but make sure you have a fully charged battery before you start. You don’t want to run out of power in the middle of shooting. It has happened to me several times where I started with 2 bars of battery life left on my camera but it wasn’t enough to finish getting all my shots. I took the risk and more often than not, I run out of power. Sometimes it’s not a big deal… simply charge up your battery and finish shooting. Other times, I have to start over because I was using natural lighting and the light over the course of the day looks different in the video. Not only that, your voice can sound different at different recording times. So charge your batteries or at least have a spare near by. When it comes to lighting, there are 2 types: Natural and Artificial. I’m a big fan of natural lighting because it looks great and it’s free. When shooting outdoors, it’s best to avoid harsh, direct sunlight. Overcast skies provide the best lighting conditions. So next time you demonstrate how to plant tomatoes in your garden, wait for a cloudy day! When shooting indoors, I try to find a room with lots of windows while still avoiding direct sunlight. However, there’ll be more situations indoors where you’re going to need some kind of lighting or lighting kit. 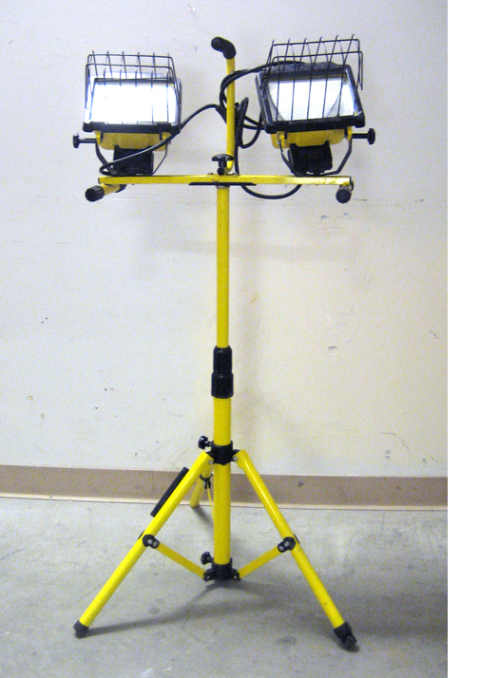 A good alternative is a halogen worklight which has the same color temperature as studio lighting. When using a halogen light, it’s best to have it diffused so it’s not so harsh. One trick is to bounce the light off a wall or ceiling. Simply aim the light at the wall or ceiling instead of the subject you’re shooting. A little warning with halogen lights, they get extremely hot instantly! Along with acquiring great looking video, you’re going to need good audio. Most digital cameras have low quality mono microphones built in. However, in a lot of my videos, I do use the built in microphone and it sounds good because I speak very close to the camera. When I’m not appearing in the video, I’m usually right behind my camera and my head is no more than 6 inches from the built-in mic. It works well for me because I’m holding objects really close to the lens. If you’re going to be in front of the camera speaking then I’d recommend an external audio recorder. 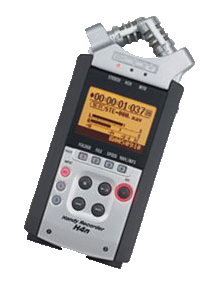 One that is popular with HDSLR owners is the Zoom H4N which has a lot of professional features for under $300. 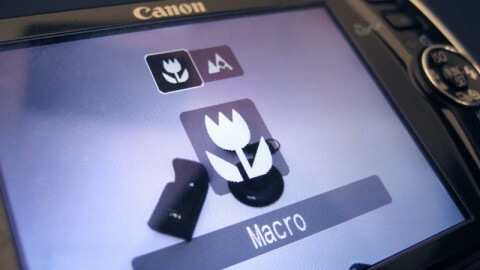 Most DSLR cameras also have a microphone input so you can use a clip-on or hand-held microphone connected directly into the camera. For those of you using point and shoot cameras, your only option for better audio is to use an external audio recorder and you’ll have to synch the audio later while editing. That amounts to a lot of work if you shoot lots of different clips (which I do). That’s why I choose to be inches from my camera’s mic when I’m doing product demonstrations. Which leads me to the next tip. One of the first things I was taught in video production class was that “Television is the medium of close-ups”. These days, I think it’d be more accurate to say “Video is the medium of close-ups”. This is especially true in product demonstrations. You want to get in as close as you can to show the detail of the object you’re showing. You want to be in ‘tight’ (TV lingo for close-up) to give the viewer the sense that they’re holding the object in their hand and looking at it themselves. The way I do this is to use the Macro function. Switching to Macro mode allows me to get the camera just inches from an object while still maintaing sharp focus. This is very useful for cut-away shots. Sometimes you’ll need wider shots to show the entire product but definitely use Macro to show the details. When I’m shooting, I’m always thinking of when I can shoot extreme close ups. In fact, more than half the shots in the videos I make are shot in Macro mode. But keep this in mind, if you’re shooting with a DSLR camera in Macro mode, the depth of field is extremely shallow so moving an object a few millimeters forward or backwards will put your object out of focus. In this case, it is better to have your hand or object resting on a table or other stable object to steady your hand. 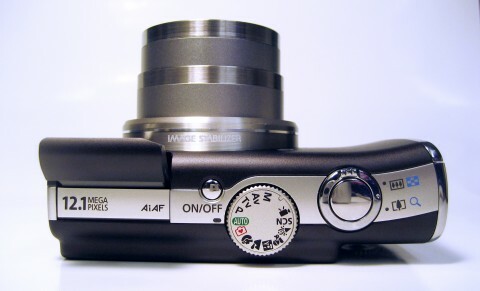 The same goes for point and shoot cameras but I find them more forgiving in terms of shooting in Macro. 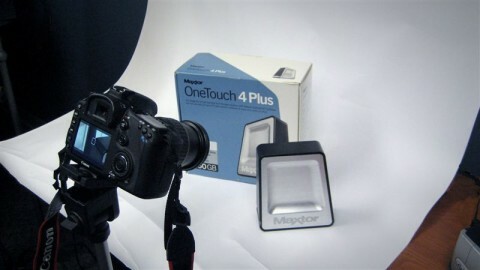 One mistake I made when I first started shoot video with digital cameras was to leave the camera in auto exposure mode. My advice is to lock the exposure so your video levels won’t go lighter or darker when you move objects in and out of your shot. Auto exposure is useful at times but I try to avoid using it as much as possible. On point and shoot cameras like my Canon SX200, locking exposure is as simple as going into exposure settings and adjusting it up or down one click. However, if I shut off the camera and power it up again, it reverts back to auto exposure… just a something to watch out for depending on your particular camera. A lot of times, I’ll use a tabletop for the background of my video simply because it’s easy and that’s where I’m working with my products. It looks decent enough but if when I’m looking for something cleaner looking, I’ll use a seamless background. I do this by placing a table against a wall with a roll of white paper (could be any color) stuck to the wall at the top and I let it drape down onto the table with a curve where the table meets the wall. It’s like what the pros use but at a fraction of the cost. You can get this paper for free by going to print shops to see if they have rolls of paper that have too little left to load into their printers. Another tip is to use the back of a large movie poster. A movie poster is nice because it’s glossy and you can get that nice soft reflection under your objects as seen in the image above. Remember that you’re shooting with a digital camera so after you’re done shooting your video (or even during), you should snap some pictures of your products. That way, you’ll have high resolution photos you can incorporate into your video or upload to the web for marketing purposes. Quite often, I’ll incorporate the pictures as an intro to my video. I also post them to Flickr and I always add a link to my website or specific product review in my descriptions. I don’t use much music during my product demonstrations but it’s definitely helpful for intros and the endings of my videos. You can buy royalty free music libraries with multiple genres to go with any style of video. Music is often the element that helps fine tune your video into a finished product. Often, I’ll hear a voice over that just sounds ok on its own but when I add music to it, the voice track takes on a whole new life. But don’t be tempted to use commercial music or popular songs, you risk getting sued or YouTube (or other online services) could remove your video. While music is great for setting the pace of your video, make sure it doesn’t overpower your voice track. Once you’ve captured some awesome footage, you’re going to need to edit it down. For Mac users, you can use iMovie which probably came pre-installed. Or if you want something better but not professional level, go with Final Cut Express on the Mac. 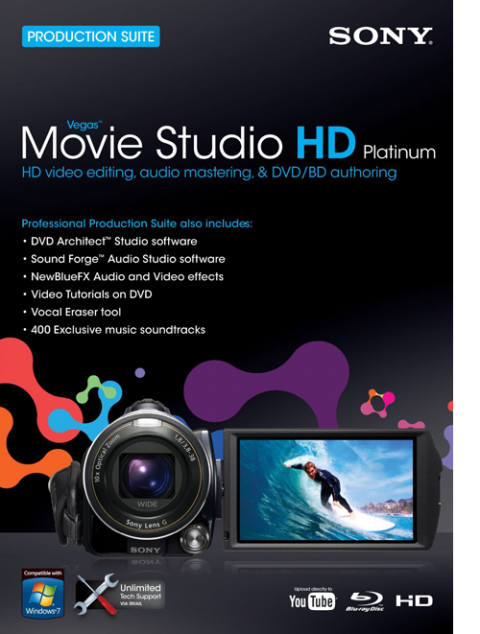 For PC users, I’d recommend Sony Vegas Movie Studio HD. They’re both powerful, extremely affordable and easy to learn. I did my first freelance job using Sony Vegas without any training and was able to figure it out pretty quick. Hopefully these tips will help you shoot better demonstration videos. Some last words of advice, before you even set up your camera, get familiar with your product or subject and take some notes. 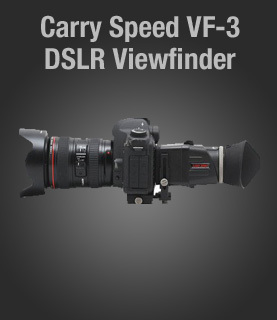 It’ll speed up your shooting time and provide you with talking points. If you mess up, just re-record your segment. No big deal! To see the video mentioned above, see my post Logitech Z305 Laptop Speaker Full Review. And if you’ve shot some online demonstration videos with your digital camera, I’d love to see them! Just leave me a comment below and let me know where to view them. great tips! I especially like the one about how you setup your free white background. Total guerrilla style setup. I think music can really set the right tone. I didn’t realize you could buy royalty free music. Thanks. Yeah, I learned the “cheap white background” trick way back in my early production days. The studio I used to work at had huge wide rolls of different colored paper that we used for backgrounds. So I took that concept and scaled it down to something I can easily recreate in my home or office. That’s where the paper roll idea came from. I need to see if I can find some bigger posters with a glossy finish because the reflections are nice for some projects. Thanks for commenting. I saw your comment on Pat’s site about responding to everyone’s list posts. Now back on topic, you’re right, music really sets the tone of the video. It really does wonders for voiceovers that can sound dry all by themselves. I think I left out any mention of music because I was too focused on just tips for when you’re actually shooting and not post production. But yes, music is an integral part of a finished video and there are royalty free music libraries you can buy or a better solution is to buy the music one track at a time. Many times when you buy an entire music library, a big percentage of the music is unusable because there are lots of tracks that sound outdated or just don’t fit the type of videos you make. Thanks for the great tips. I have been a bit hesitant to shoot videos because I assumed you needed professional equipment and training. You have very clearly explained how I can do some book reviews of my books. Glad you found the tips helpful. I’ve never done book reviews but there is an interesting review/promotion niche for new books (and probably already released books). Do a Google search for “book trailers”. They’re basically like movie trailers, some are simple photos and text graphics. Others are a lot more involved with actors portraying a section of the books. In any case, they could give you some additional ideas or inspiration for your book reviews. And definitely you don’t need professional equipment to make professional looking videos. In my projects for televised commercials, yes, I definitely use professional cameras because the equipment is available to me but not for my personal web based videos and DVDs. I have to say your review of those speakers was as professionally done as they come, very very impressive indeed. I need some advice, i am student to my budget is very limited at $600 , yet i want to buy a good dSLR. I’ve shortlisted Nikon D3100, it looks to have the best of both worlds with stills and 1080p recording, one of my friend’s has it so i tested it and the results are great both stills and video. But one thing i noticed while shooting 1080p with D3100 is that every time i would focus on an object the sound of the lens focusing would get captured and was extremely obvious during playback, is there a work around for that? I see that both your cameras are Canon, is that down to personal preference? Also what do you think about the D3100? And which budget tripod would you recommend for me? Glad you liked the Z305 review. It was fun to make. I don’t have any experience with Nikon DSLRs but most if not all HDSLRs will do 1080p. Regarding the focus noise, I’m not sure how Nikon lenses work but on my Canon 7D, the built-in microphone will pick up noise from my lens when the Image Stabilizer is on. It sounds like a little motor so I can’t shoot video with it on. Check to see if that’s the same with the Nikon lens you were using. If you’re still trying to decide on a camera, there are 2 Canons that are just above your budget range. Check out the Rebel T2i or the Rebel T3i. They have the same HD specs as my 7D only cheaper. For some reason, I keep buying Canon cameras. I’ve owned about 6 of them all the way back to the original Canon ELPH that used APS film! And now with a Canon DSLR, I can upgrade the body in the future and still keep my lenses. You’ll be able to do the same if you go with Nikon. So your investment in lenses won’t go to waste. For tripods, I use a professional Sachler tripod at work but it is very expensive. I don’t own it but I would very much like to have one for myself. I’ve seen 2 budget tripods that have good reviews. One is the Ravelli AVTP Professional 75mm Video Camera Tripod with Fluid Drag Head and the other is the Fancier Professional Heavy Duty Video Camcorder Tripod. Both have fluid heads and are under $150. If you ask me, I’d go with the Ravelli AVTP Professional 75mm Video Camera Tripod with Fluid Drag Head. The ball head is much like the Sachler and it’s fast and easy to level the camera with no matter how uneven the surface your camera might be sitting on. Good luck on your search for a camera package and have fun making videos! Harlan. Thanks so much for the wonderful tips. We’re going to be adding product reviews to our website soon and are trying to figure out the best way to go about it – your advice is going to be very helpful. Also, I enjoyed your review about the Logitech laptop speaker, very nicely done. Glad you found it helpful! Have fun making your reviews!